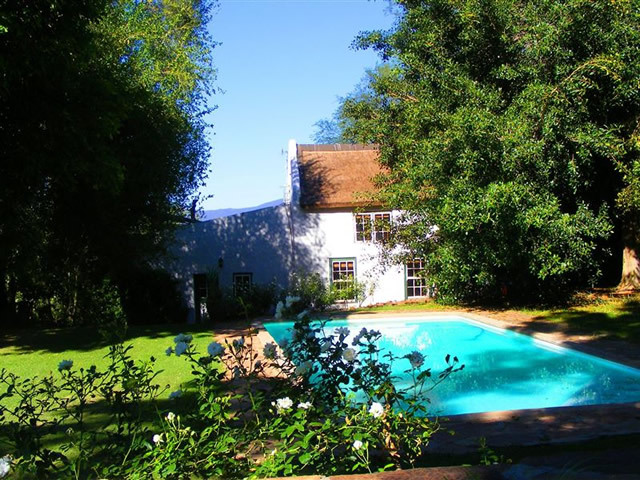 The Waenhuis is situated 3.5km from Clanwilliam on Patrysvlei Farm, a grape and citrus farm, at the foot of the Pakhuis Pass. 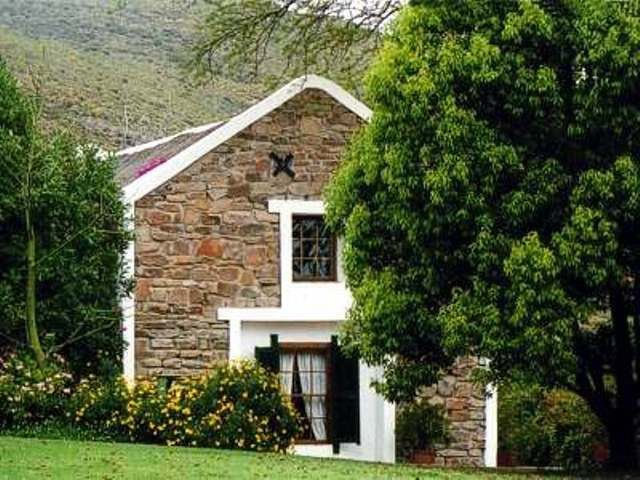 As its name implies it is the original Waenhuis (Wagon Shed) of the home Patrysvlei, built in 1820. The Waenhuis with DSTV and WIFI is 100 meters from the main house. It has its own garden in the front and adjoins the pool garden at the back. It has four bedrooms, three en-suite(baths and showers), and the fourth with adjoining bathroom. Two are air-conditioned two have overhead fans. The attic room of 36m² has two single beds and can be converted to sleep more people. There is a lounge with a fireplace and a dining kitchen area opening onto a braai patio with table and chairs for stunning outdoor evenings. Please bring your own wood for fires. Towels and linen are provided (beds made up for arrival). Daily servicing of the Waenhuis can be arranged at an additional cost for self-catering guests. 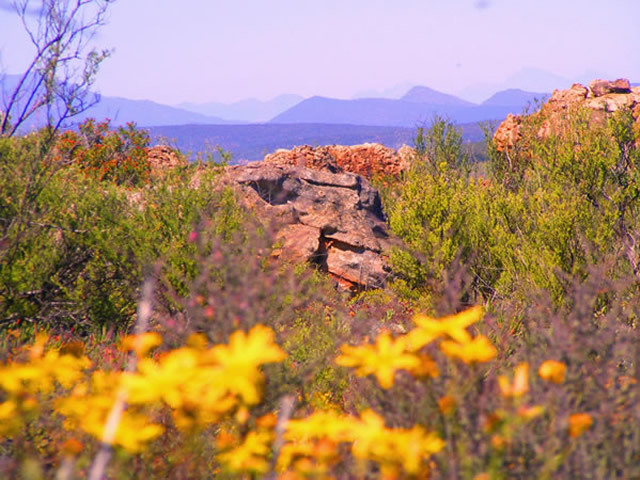 Mountain bikers can follow a challenging route through the fynbos on the farm, or attempt other local mountain bike routes from the Waenhuis The farm (1800ha) offers exclusive walks in the uncultivated and uninhabited mountain veld comprising a large part of the farm. Magnificent orange sandstone rock columns and arches provide challenges for rock climbers, bouldering or ideal spots for sun downers. This farm boasts the famous Black Shadow and the Tea Garden, two of the well known sites used by Boulderers. Half the farm, including Patrysvlei homestead & the Waenhuis, has been game-fenced and a herd of Eland and Springbok can often be seen in the evenings. Bird viewing can also be enjoyed and there are many scenic spots to take day trips to. 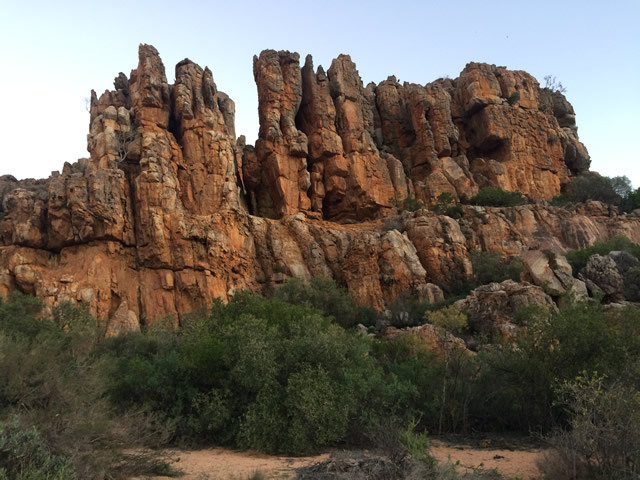 Hikes in the wilderness area on which we border are reached easily, some boasting spectacular bushman painting sites. Flower enthusiasts are treated to variety and beauty as the Namaqualand blossoms, and many varieties are found on the farm. In the village and surrounds there are several good restaurants. The Waenhuis is also ideal for people wishing to water-ski. For any further information please contact Sue.